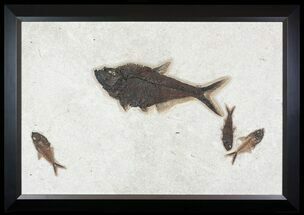 This is a large fossil fish plate from the Green River Formation which would make for a very impressive display hanging on a wall. 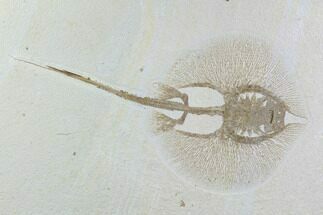 There is a 14.5" long Mioplosus with a large Knightia overlying it. 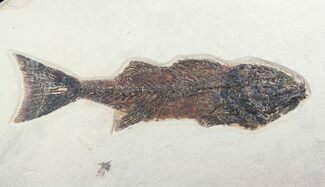 Mioplousus is one of the more uncommon fish found at the quarry. 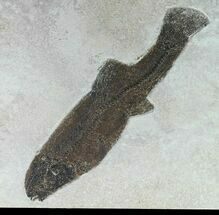 It was collected from the 18 inch layer of the formation at Warfield's Quarry near Kemmerer, Wyoming. 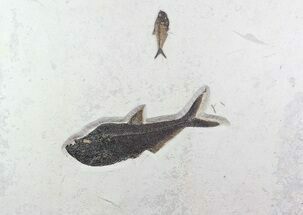 This layer produces much darker and more detailed preservation than the split fish layers. The plate has been backed with Hardie Board, a fiberglass/concrete composite for stability and to make it easier to install mounting hardware. We can install a french cleat hanging system for no charge upon request. 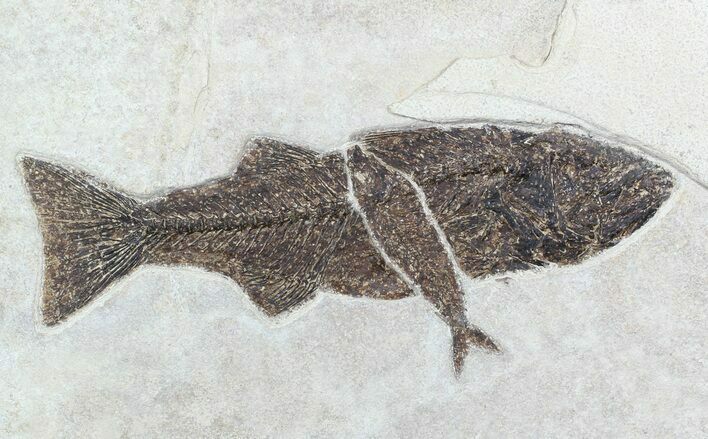 The lake itself is known as "Fossil Lake" and it existed 50 million years ago in what is now Wyoming and is believed to have covered approximately 930 square miles. It had an unusual chemistry that inhibited the decay and scavenging of dead organisms while think layers of limestone and organic matter accumulated. 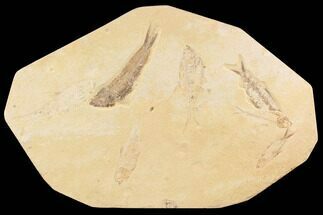 This special set of circumstances has lead to the beautiful preservation of fish and other fossils within the Green River Formation.